Every year in Christmas time Posterstein castle shows a part of the Christmas crib collection that Jürgen P. Riewe and Carolin Riewe from Hannover have donated to the museum in 1994. The collection shows the great variety of the presentation of the birth of Jesus Christ. Here you find Christmas cribs from Israel and colourful cribs from South America, wood cribs from Bavaria and such, made by traditional manufacturers in the German Erzgebirge. Czech and Austrian straw cribs stand side by side with African wood cribs and German tin cribs, some fit in a nutshell, others can’t be overseen. To be donated a whole collection is a stroke of luck for a museum. The Riewe collection includes about 340 cribs, a library and an archive with folkloristic information about the subject. A small book presents the most important exhibits and can be bought in the museum (in German language only). Until his death in 2007 Jürgen P. Riewe opened the yearly exhibition of his collection himself, e.g. with short lectures on Christmas traditions. 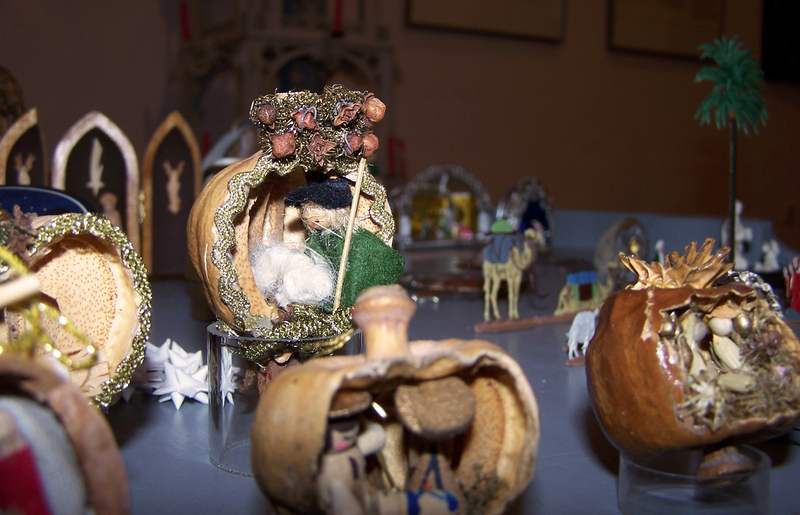 In 2013 / 14 another Christmas crib collection from Hannover was be donated to the museum, that now has more than 500 cribs in its collection.